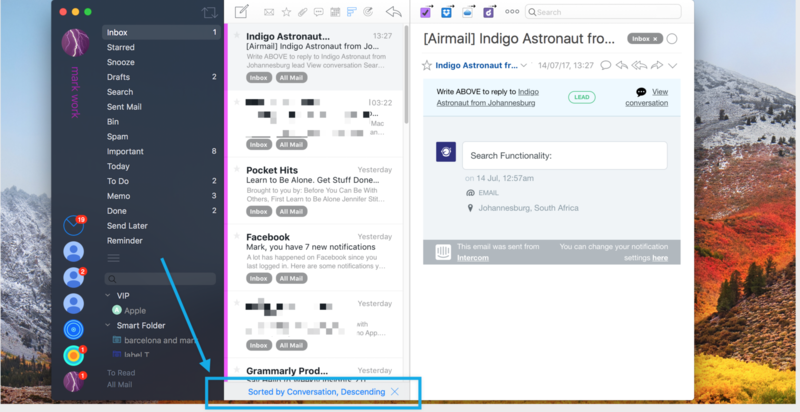 This article explains all the quick filters that are available in Airmail to improve the filtering - improving the workflow and the ease to use Airmail. 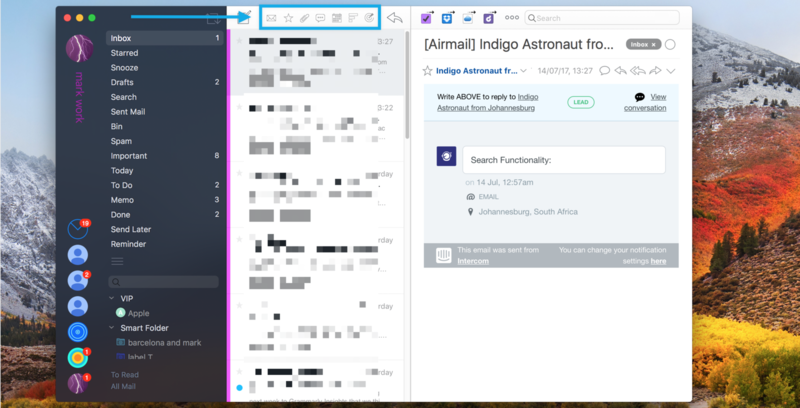 Airmail has a "Quick Filter Menu" which is located just above the messages list. This menu allows the section of multiple filters. This option displays the unread messages only and hides all read messages. The keyboard shortcut is 1. It only shows messages that have been starred or flagged. The keyboard shortcut is 2. It only shows messages that have attachments. The keyboard shortcut is 3. It only shows Conversations. Conversations are email messages that are grouped under the same subject. 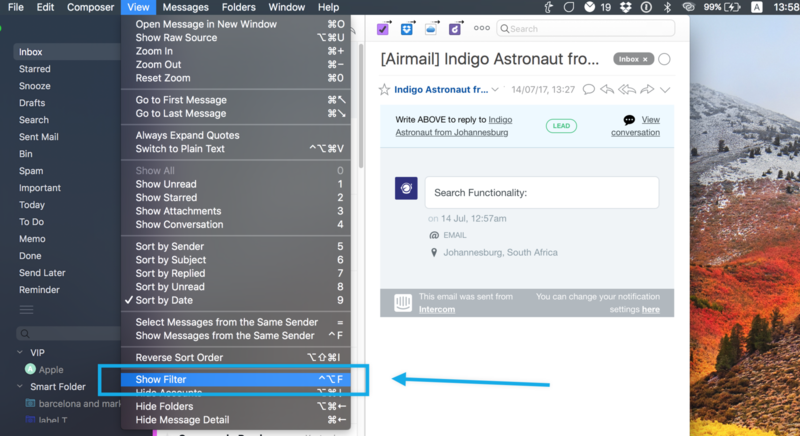 Please note that conversation can be enable or disabled in Airmail Preferences > Appearance > Use conversations. and select each date you would like to filter messages by. There is no keyboard shortcut for this option as a date or date range needs to be selected. Sorting your messages is easy with this Sort menu. Click on Sort to to view the options. any of the options above. Use this filter on a selected message from the message list to show all the messages from the same sender. use the shortcut keys. Once a filter is selected, you will see the icon turn to blue. Please do contact us if you have any queries and we will respond to you as fast as we can.